Dive into the recipes and science of easy fermented foods at home in this podcast featuring Lisa Herndon of Lisa’s Counter Culture. Full of probiotics and flavor, fermented foods and beverages are the historical way to get our benficial bacteria and many vitamins. 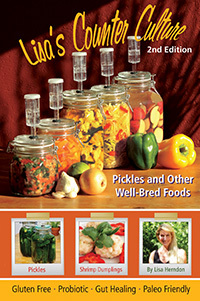 Lisa and I discuss using Pickl-It jars for better outcomes and food safety too. 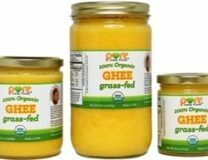 These jars provide a greater level of confidence in the saftey of your culture and are easy to use. 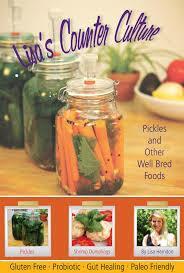 Her book, “Lisa’s Counter Culture: Pickles and Other Well-Bred Foods” covers fermented foods and other “companions” such as Bone Broth, side dishes and more. It’s a pleasure talking with her, and Lisa will get you excited about how easy fermented foods are to make at home using the Pick-It jars system. I'm Beverly Meyer. I became gluten free, then grain free and finally dairy and egg free over a 10 year period. Basing my diet on the decades-old Specific Carbohydrate Diet (but without the dairy, eggs or legumes), I had amazing changes in my health. I’m a Natural Health practitioner, blogger, podcaster, patient, animal lover, and sometimes a pretty funny person. My goal? To help you (and me) feel better!